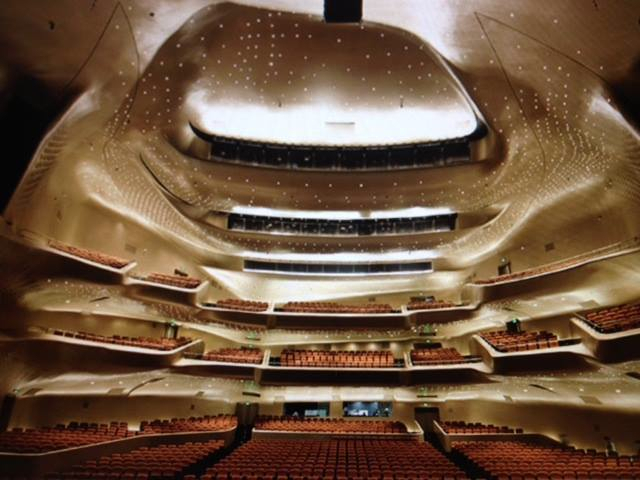 The National Center for the Performing Arts (NCPA), also known as The Giant Egg because of its distinct look, is an opera house in Beijing. It was designed by french architect Paul Andreu, and constructed from 2001 to 2007. Its design was controversial, with some complaining about its ever-growing budget and others arguing that its unique appearance did not fit the look of the city. The egg shape was intended to make it iconic and globally recognizable, not unlike the Opera House in Sydney. The opera house, which has a capacity of 5,452 seats, is built with titanium and glass, and is surrounded by an artificial lake. The dome has a diameter of 144 meters in the north-south direction, and 212 meters in the east-west direction. 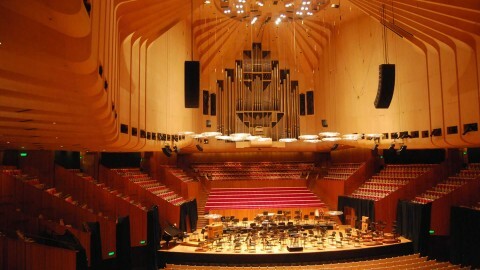 Visitors must walk through a tunnel underneath a lake in order to enter the opera house. 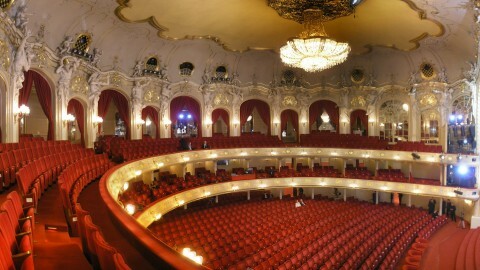 At the National Center for the Performing Arts is the Theater Hall, Opera Hall, and Music Hall. Its output is tremendous. The NCPA has produced 4,192 art education events and shows, featured 119,000 artists, and displayed 128 art exhibitions, which include an old painting, national gift, and repertoire exhibitions. The NCPA is also exceptionally popular. Since it opened in 2007, it has been visited by approximately 2.7 million people. 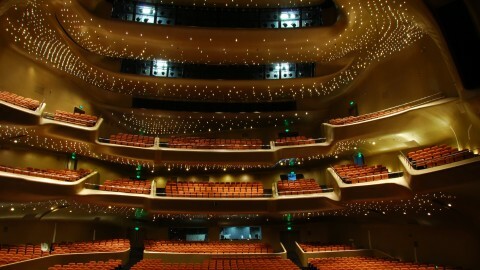 In addition to performances, the NCPA offers many events, such as an Arts Library, and a Classic Arts Lecture, and the NCPA World Theatre Forum. Memberships programs are also available. Also located at the NCPA is a souvenir shop, a restaurant & cafe, and art exhibitions. The theater is only a fifteen minute walk from Tiananmen Square. A stroll around the lake is a free, tranquil thing to do before a performance, or any time of day. Due to special technology, the lake around the opera house never freezes, nor does algae grow on it during the summer. It is kept in pristine condition all year. Nearby, and worth a visit, is the lush Zhongshan Park, as well as Zhongnanhai, the royal palace complex which now houses the the headquarters of the Secretariat, the State Council, and the General Office. It is considered to be the political center of China. There are a number a of tasty eating options at the opera house. There is an attentive staff, should one need assistance. Guards patrol the outside for security reasons. Children less than 1.2 meters high are admitted into performances at half-price.